For your special gluten free Valentines make the one you love their very own delicious gluten free cake. What could be more romantic and thoughtful than to give them delicious gluten free cakes handmade by the one they love. 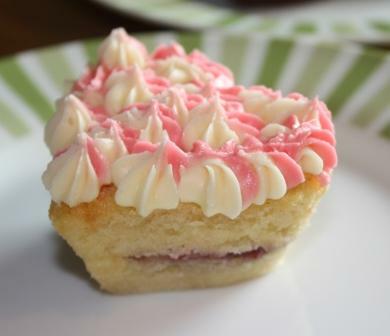 Gluten free cakes, so tasty everyone will enjoy these gluten free treats. Use our easy to follow gluten free cake recipes to make either gluten free chocolate cake or traditional sponge cake, whichever your loved one likes best. They will love this unique gluten free cake. We made our gluten free Valentines cakes in heart shaped bun pan baking trays, which, as you can see from the photographs is a lovely romantic touch. 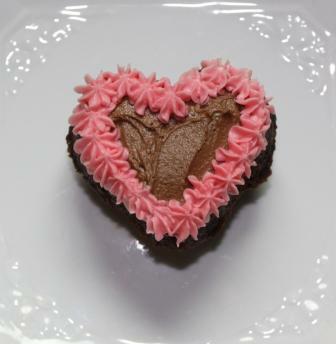 Whether you make individual cakes or one larger cake, you could get the same impact by cutting your cake into a heart shape. No matter what their shape, personalize them with your own choice of decoration. We offer some suggestions but you know your loved one best so go mad and make something unique for them. Make them a gluten free cake they will never forget. When making gluten free cake recipes following a few simple rules will ensure your gluten free Valentines cakes stay gluten free, we have some easy to follow tips on our Avoiding Gluten page. For the chocolate cake follow our Gluten Free Chocolate Cake Recipe here. 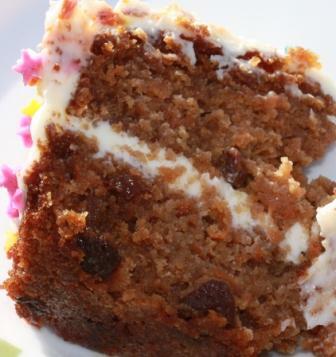 Use the quantities given to make a large 8” cake or use the smaller cake quantities to make 8 small cakes or one 6” cake. To make the sponge cake follow our Gluten Free Sponge Cake Recipe here. Add 7 oz (200g) of sieved icing sugar to 1 ¾ oz (50g) of softened butter (or vegetable spread) a little at a time until all the icing sugar have been added and it is thoroughly mixed. 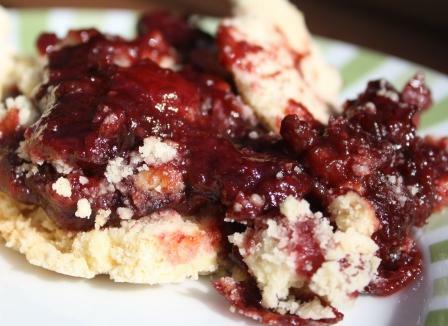 If the consistency is too thick you can loosen it by adding a little milk. You will probably have to do this if you are going to pipe this icing. To make coloured butter icing add food colour of your choice and mix well. To make chocolate butter icing add sieved cocoa powder and mix well. You will need roughly 15g for the above quantity of butter icing. For the chocolate cake shown we filled it with chocolate butter icing and spread some of the same chocolate butter on top. 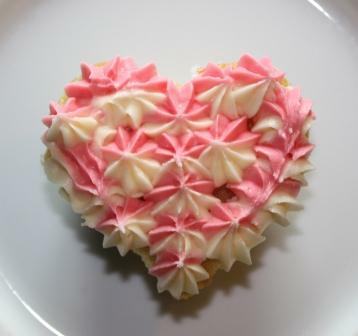 We then piped a heart shape on top using pink butter icing. For the sponge cake shown we filled it with raspberry jam and piped two colours of butter icing (pink and cream) on the top. Beware this is a very sweet cake! 1. Use whipped cream instead of butter icing. Spread the whipped cream on top and add some fresh fruit as decoration. 2. Decorate the top with water icing. Add food colouring to some of the water icing and pipe words and design to the top of the cake. To make the water icing mix (sieved) icing sugar and cold water to make the quantity and consistency of icing you need. 3. Using lemon juice rather than water in the water icing recipe above and it will give your cakes a zingy lemon flavour.